A flawless manicure starts with the perfect foundations. 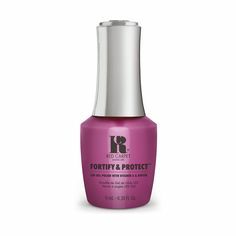 Start with removing any existing product that is on your nails when treating your cuticles. Gently push back cuticles, for tougher cuticles, why not try Cute-Icles Friend, designed to help treat overgrown cuticles. Once you have applied Cute-Icles Friend, gently use a cuticle pusher to push back your cuticles, but be careful to not remove the cuticle! 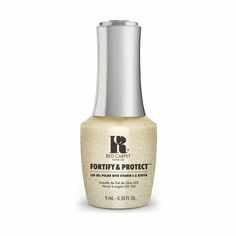 Use your Accessories Kit to buff and prep the nail plate, then cleanse using a Lint Free Wipe and Purify to remove any residue. The key to perfect application is thin layers, starting with your Structure Base Coat, apply a thin layer to all nails remembering to cap the free edge and cure in your Red Carpet Manicure LED Light (view our lights here). Top Tip: To make bright colours pop, why not apply one coat of White Hot, our white LED polish? Thin layers are recommended as thin layers cure quicker, it is better to have three thin layers to achieve the desired colour intensity than thicker layers. Thinner layers are also recommended as you get to grips with the gel polish system. Capping the free edge makes your manicure more resistant to chipping and peeling. To cap the free edge, run the brush over the top of your nail once you have applied the product to the rest of the nail plate. Make sure you cap the Base, Colour and Top Coat for maximum manicure protection from chipping! Curing times vary between our LED lights, our Salon 5-30 Pro LED Light cures in 30 seconds and our Pro LED Light cures in 45 seconds, the Portable LED Light takes up to 2 minutes per layer to cure. Apply your favourite cuticle treatment twice a day to keep cuticles and nails nourished, remember nourished nails mean a longer lasting manicure!